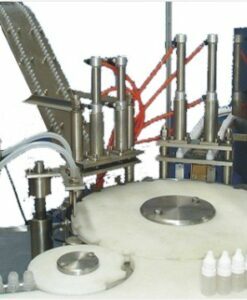 Inline Linear Gravity filler is an extremely flexible filler capable of filling accurately and rapidly any viscous liquids. Product delivery from your bulk tank to the pistons can be configured with a buffer tank utilizing a level-sensing float, a manifold with direct draw, or re-circulation methods. 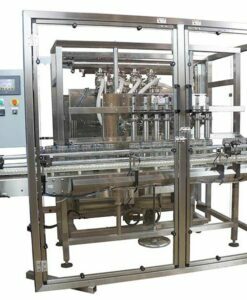 The KEW Automatic Linear Piston Filler is manufactured with a 304 stainless steel frame and is capable of supporting 2 to 12 fill heads. 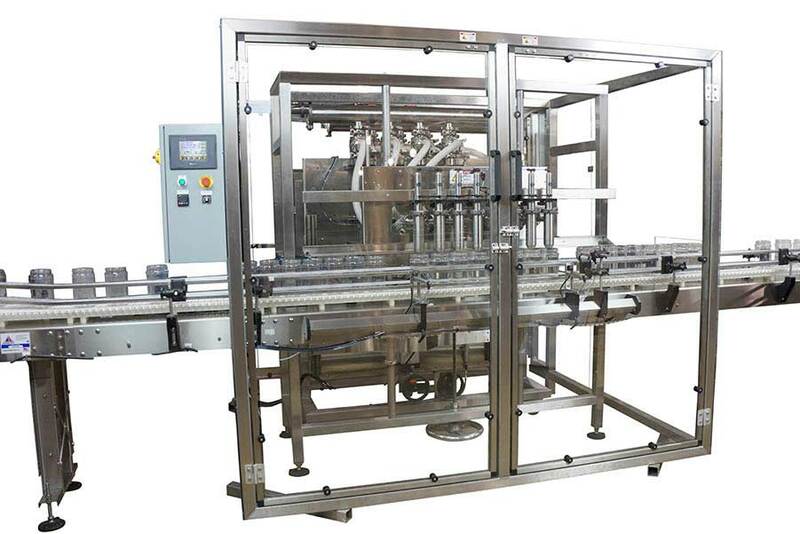 PLC controls, touch screen HMI, food grade contact parts, stainless steel and anodized aluminum construction and many more features come standard KEW Automatic Piston Fillers are designed to add efficiency to any production line used in the cosmetic, food service, specialty chemical, pharmaceutical, and personal care industries. 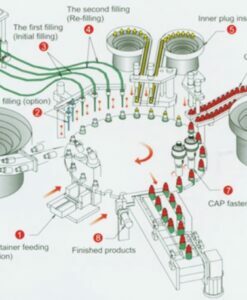 Additional options are available for sanitary, hazardous, flammable and corrosive environments.